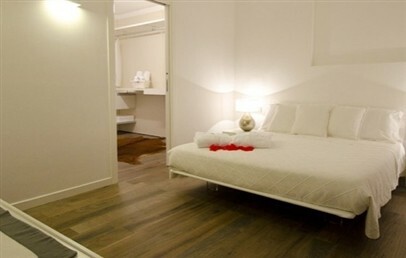 Located in the centre of Brindisi, Santostefano Luxury Rooms is just 1 km from the city’s Central Station. Salento Airport is approximately 5 km away (15 minutes by car), while the closest public beach is just 6 km away. The ideal choice for both holidays and business trips, the hotel is perfectly located if you wish to discover the rich historical and cultural heritage of the city and its surrounding areas. 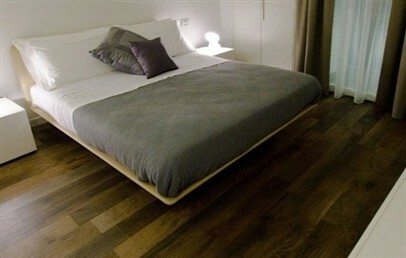 Santostefano Luxury Rooms features a modern style, with designer furniture and wood or parquet floorings. The hotel welcomes children from the age of 12, subject to prior request. Santostefano Luxury Rooms features three spacious and comfortable apartments, furnished in modern style, with free Wi-Fi connection and SKY subscription. 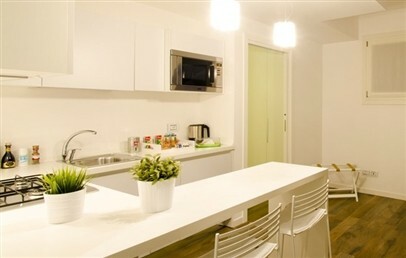 Standard Apartment – comprising spacious lounge, separate bedroom and equipped kitchenette. En-suite bathroom with shower. Superior Apartment Duplex – distributed over two levels with a spacious lounge, separate bedroom and equipped kitchenette. En-suite bathroom with shower. 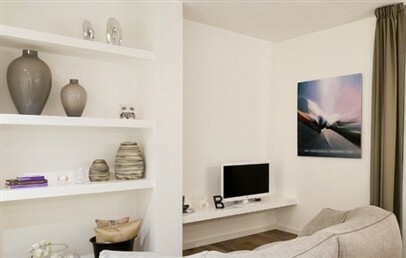 Suite Luxury Room – comprising bedroom with wardrobe, lounge area and kitchenette. En-suite bathroom with shower. 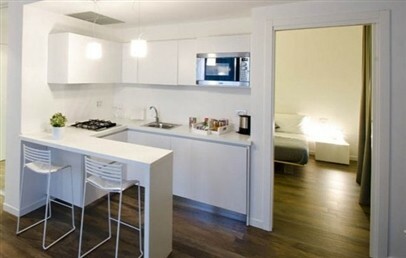 In the morning, traditional Italian breakfast, which includes a selection of sweet pastries, is served in the rooms. There is no restaurant for lunch or dinner. Guests can relax in the comfortable chaise-longue around the beautiful swimming pool overlooking the city – at the additional cost of € 10 per hour. The hotel has a swimming pool and complimentary Wi-Fi connection throughout the premises. Subject to booking, a secure private car park is available 24 hours a day, at an additional cost. 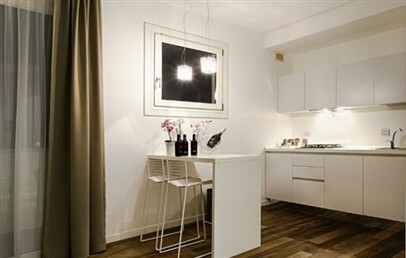 Spacious apartment with wood or parquet floorings, comprising a spacious lounge, fully equipped kitchenette with fridge, oven and kitchen utensils; separate bedroom and balcony. En-suite bathroom with shower and complimentary toiletries. Spacious apartment with wood or parquet floorings, comprising bedroom with wardrobe, lounge area, fully equipped kitchenette with fridge, oven and kitchen utensils. En-suite bathroom with shower and complimentary toiletries.